Café Coffee Day (CCD) has launched 5 new ‘light and fast bites’ starting at ₹39 dubbed as ‘The High 5’ menu. 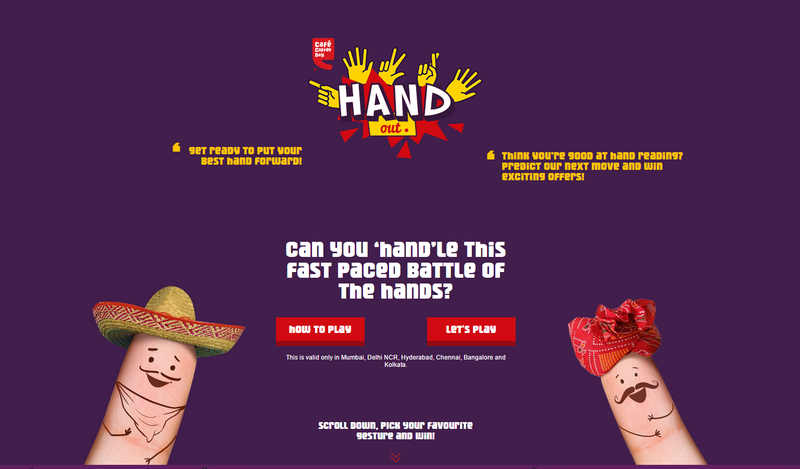 The campaign elements include five unique hand gestures for each of the menu items, which is an obvious connect with ‘High 5’, and a rather ingenuous ‘Hand Out’ Challenge game (if you can call it that at all). This game of chance, involves picking a random hand gesture (from the 5 listed) and if what you pick matches the system generated one, you stand a chance to win free food from the High 5 menu. 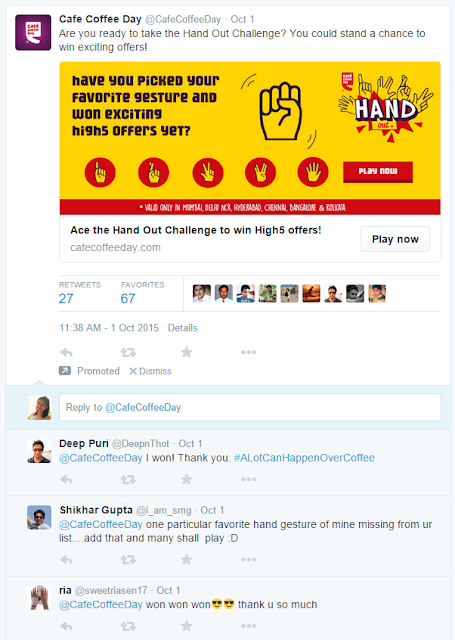 Adding a simple gamification layer to contests is an engaging way to promote short burst campaigns. A game like this one, for example, could work within rich media banners as well negating the need to create elaborate microsites for this sort of execution. 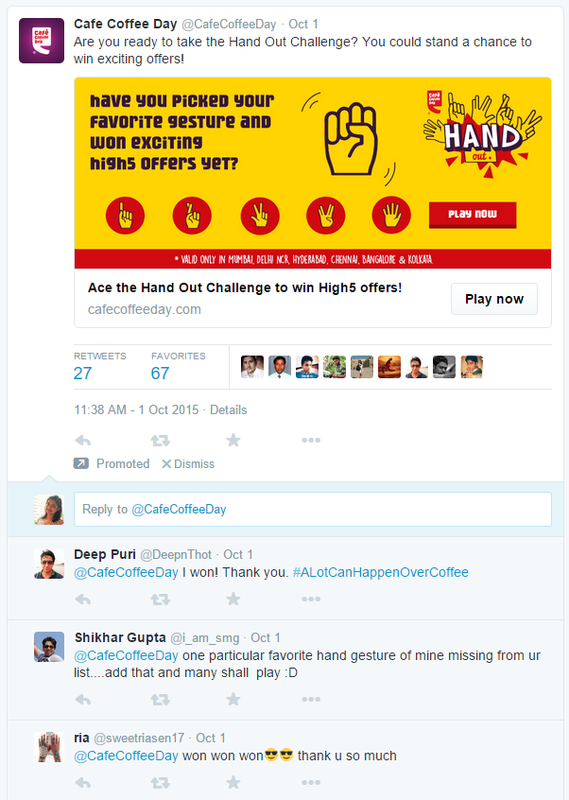 Targeting the youth demographic in specific Geos, CCD chose Social Media to promote this campaign.